A common nightmare for patients undergoing surgery is having surgical tools left behind inside the body. While a patient is on the operating table, sponges and towels may fall into open wounds. Additionally, broken pieces of instruments, stapler parts, and other sharp objects may also be left inside patients’ bodies. In 2013, The Joint Commission, a healthcare safety watchdog group, released a report which discovered more than 770 incidents of foreign objects being left in patients both during and after surgery throughout a seven year period. In fact, the cases resulted in 16 deaths. Moreover, 95 percent of the cases required patients to remain in the hospital for a longer period of time. The incidents most commonly occurred in operating rooms, labor and delivery rooms, ambulatory surgery centers or “labs where invasive procedures such as catheters or colonoscopies take place.” Lack of policy and procedure, as well as failure to comply and communicate, were cited as common causes. One of the goriest stories involving surgical tools left behind include a string of incidents which occurred at the University of Wisconsin. 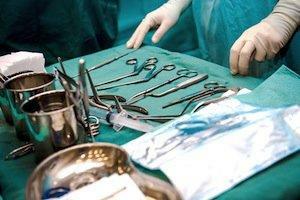 For five years in a row doctors left surgical tools in five patients. Two of these incidents involved a 13-inch retractors—a surprisingly long object to overlook. Connecticut hospitals, however, do not have a much better track record. According to the Hartford Courant, state hospitals reported 65 cases of surgeons having left objects in patients between 2004 to 2008. One Hartford Hospital patient went through the same devastating experienced as the patient at the University of Wisconsin—a 13 by 2-inch retractor was left inside her body. It was not until two weeks after the initial operation that the mistake was discovered: the patient returned to the hospital complaining of sharp abdominal and neck pain, and then had to undergo a subsequent operation. If you or someone you know underwent a surgery and experienced subsequent complications, perhaps caused by having surgical tools left behind, the most important step is to seek legal counsel. You do not go through it alone. 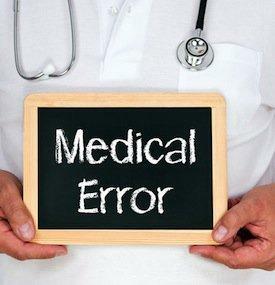 An experienced Connecticut medical malpractice attorney can assist with your case and look out for your best interests. Call 203-226-6168 today to schedule your free initial consultation.